Toronto travelers, if left with no other choice but to cut costs somewhere along your 2014 summer vacation, trim spending by perhaps limiting t-shirt purchases fruity drinks with pretty umbrellas – not by skimping on insufficient travel insurance. Contrary to instinctive reasoning, some of Toronto’s soundest travel insurance policies can be had for a song with a little help from a knowledgeable Blue Umbrella Financial Services representative and some common sense toward your own planning. It’s an under-valued step in preparation, and decidedly underpriced when considering the fortune that cancellation coverage and insuring one’s traveling valuables can save in the event of a disaster. “More” travel insurance doesn’t always equate to having the “best” coverage. If you’re fortunate enough to own a home insurance policy that covers your possessions when you’re away, you may not need as much coverage for your material belongings as you thing. Similarly, many banks offer credit cards or accounts with their own travel-coverage plans, though they’re often quite basic. deductible and low single-item limit. Remember well the instance of Kenzie Markey, the Greenwood, N.S., skydiver who suffered catastrophic skydiving injuries in Arizona this past spring and negated any claim she had to coverage under her travel insurance policy. Why? Because many insurers wisely write in limits giving them an out from paying on injuries suffered during particularly dangerous activities. Such as jumping out of perfectly good airplanes. Other typically frowned upon activities? 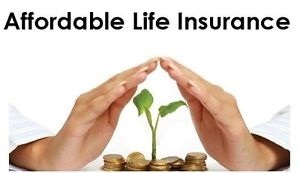 Additionally, abide carefully by policies’ age and medical limits – and do so with complete honesty. Some policies will decline to ensure travelers over 65 years of age or ones with particularly hazardous pre-existing conditions. There’s plenty of precedent for Canada’s courts siding with insurers in disputes involving travel-insurance claimants whose claims were denied when it was discovered their application questionnaires were less than truthful. Tis better to disclose in forthright fashion and pay an extra premium than to lie, get hurt, and lose any right to a claim when the lie comes to light. Depending on the nature of your travel, buying new coverage with each trip may be costing you more than you should be paying. Many insurers will offer a package rate for frequent travelers, some of which will cover an entire year of trips for one annual fee. These coverage packages won’t necessarily cover some excursions, such as backpacking or extended trips. In fact, they may offer a certain set limit of days per fee. Carefully consider your expected trips, both in terms of purpose and duration. SHORT-TERM/SINGLE-TRIP – Up to 90 days of coverage. LONG-TERM/MULTI-TRIP – Up to a full year. Above all, we want your next vacation to be one that you never forget – for all the right reasons. Toronto’s Blue Umbrella Financial Services representatives are glad to assist you with researching and planning for your every upcoming travel-insurance need. Don’t hesitate to contact us if you have any further questions about what is, isn’t, should or shouldn’t be included in a quality travel insurance policy.